Social Security benefits are considered separate property. 3. What Happens to My Ex-Husband's QDRO Pension if I Remarry? When two people divorce, state law will decide whether their assets are separate property, belonging to one individual, or marital property that the court must divide between them. But federal law renders Social Security exempt from this property division; Social Security benefits will generally be considered the separate property of the individual. American states follow one of two systems of property distribution in a divorce: community property or equitable distribution. Depending on which state you live in, the details of property distribution may differ. But both types will generally involve a decision on whether property belongs to one spouse, or to the marriage. In equitable distribution states, property of the marriage is known as marital property. In community property states, this property is known as community property. Social Security is a federal program designed to provide economic security for the retired and disabled. A worker accumulates social security benefits while working and then claims those benefits later. Normally, in the case of benefits, property distribution law would look at whether the benefits were accumulated during the life of the marriage. However, Social Security benefits are a special case. State courts have widely held that social security is governed by federal, rather than state, law. Federal law has clearly stated that state courts can't treat social security as marital property; the benefits will always be the separate property of the spouse who accumulated them. With the exception of a few isolated decisions, most state courts follow the federal law. Even though a court will likely rule that Social Security benefits belong to the spouse who earned them, the ex-spouse still has some rights under the Social Security program. After divorce, even if the earning spouse remarries, the ex-spouse is still able to claim a share of benefits if he meets certain requirements. 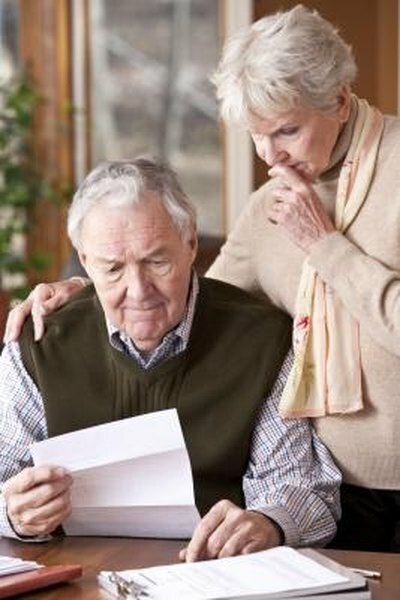 The couple must have been married for at least 10 years, the ex-spouse must be older than 62 and unmarried, and the ex-spouse must not be entitled to greater Social Security benefits on his own. Even if someone gets benefits based on his divorced spouse, the benefits will not reduce the amount that the divorced spouse is entitled to receive. In divorce, courts often divide the marital property with an eye toward what would be best for dependent children in the marriage. Even though Social Security is routinely considered separate property of the earning spouse, that spouse's dependent children who are unmarried and under 18 (or disabled children of any age) will generally have the right to Social Security benefits. These benefits for the children do not affect the amount of social security that the earning spouse receives. What Happens to Retirement Funds & 401(k) Plans in a Divorce?